Here are two fashion dolls from 1978. On left, Gayle, Sindy's Friend, by Marx Toys. 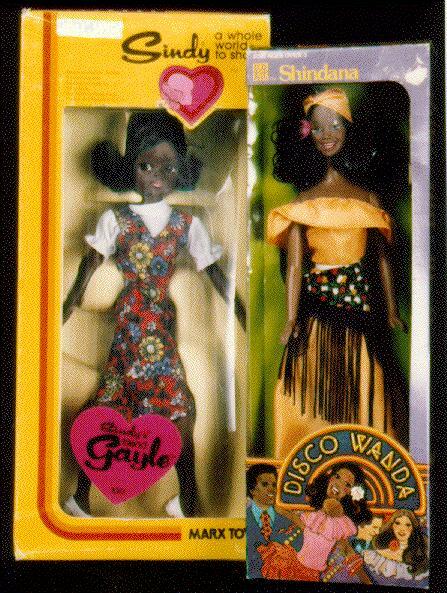 On the right, Disco Wanda, by Shindana Toys. Both are NRFB and shown with their original outfits.